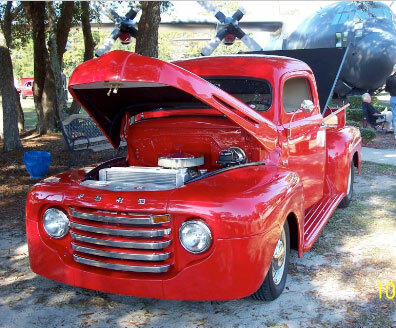 After purchasing this 1949 Ford Pickup Truck about 10 years ago I began to restore it back to original . With the encouragement of a friend I changed and decided to Street Rod it. 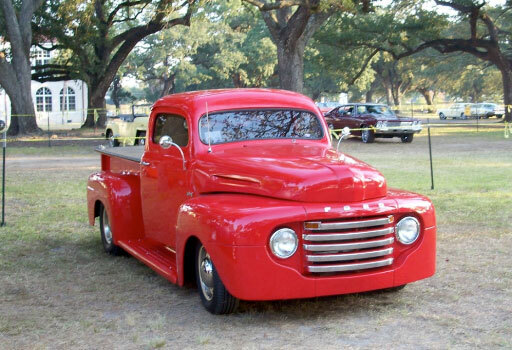 My friend had purchased 1941 Chevy Pick-up fiberglass fenders from R & R Fiberglass for his project and recommended that I call R&R . I called and talked to Rich, the owner. After our conversation I purchased front fenders, rear fenders, and running boards. With the help of my friend Mr. Goldie we began to chop the top 4 and half inches and pie cut the hood 2 inches. Installed a Cutlass front end, 10 bolt rear end, 351 Windsor and AOD Transmission. We have had a blast working on this “Ole Ride”. After completion we began cruising the coast in Mississippi in 2010. Going to car shows and the local museum car show.